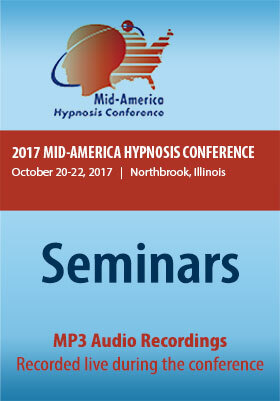 This interactive multimedia CD-ROM or USB Flash Drive features All Seminars sessions live audio in MP3 format recorded at 2017 Mid-America Hypnosis Conference, October 20-22, 2017 in Northbrook, IL! MP3 audio files of every session listed below. Captured LIVE during the conference.